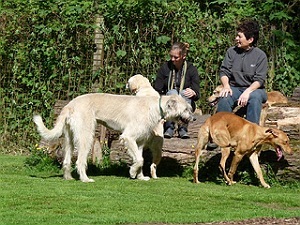 Let us help you get your dog back on track by teaching you and your dog on a one to one basis. The majority of our training is done as 1-2-1 sessions at your home, or in the real world where you are experiencing the problems with your dog. No over full classes, no waiting for ages until it is your turn to have a go. Our unique way of training you to help your dog is fun for all.